First child, followed by first Volvo. 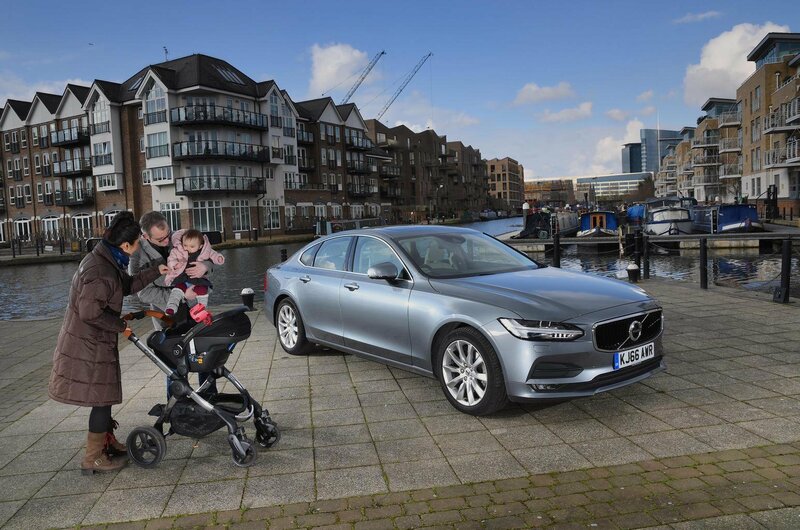 It’s fair to say that when I took delivery of the S90, having just become a parent, I felt like a bit of a motoring cliché. But does the car itself conform to all those old Volvo stereotypes (negative and positive) or offer surprises? Well, during my eight months with it I (thankfully) didn't get to test the safety for myself, but this is clearly a strength given that the S90 earned one of the highest Euro NCAP crash test scores of 2017. The S90 also lives up to Volvo's reputation for having some of the best seats in the car world; while most rival models feature firm, heavily bolstered designs that hold you tightly in place through corners, Volvo has focused more on long-distance comfort. Combined with standard lumbar adjustment (a feature that costs extra on the BMW 5 Series and Jaguar XF) and suspension that wafts you over most imperfections in the road surface, they meant the S90 ended my dread of marathon motorway journeys. Where the S90 differs from what you'd expect is in the way it looks. It really is a million miles away from the square Volvos of old. And familiarity didn't breed contempt; I found myself admiring it every morning, even towards the end of my time with it. It’s not just the exterior that’s easy on the eye, either. The S90’s dashboard is dominated by a large touchscreen that has let Volvo slash the number of buttons and create a modern, minimalist ambience that’s refreshingly different from anything in German rivals. Unfortunately, while the idea of a screen that lets you swipe, pinch and scroll as you do with your iPad sounds good in theory, in reality I found it made simple tasks such as changing the radio station or the temperature quite difficult on the move. 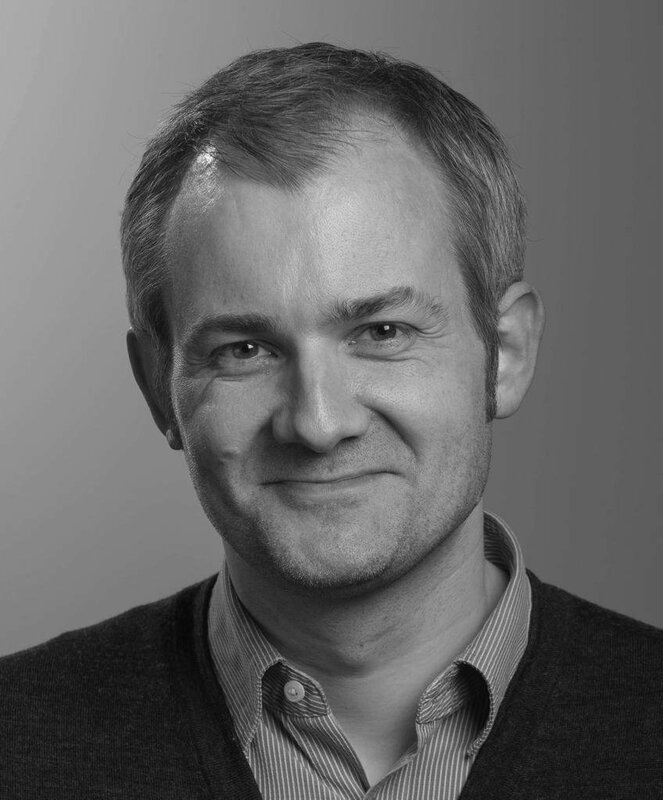 I also experienced technical problems during my time with the S90, namely the sat-nav thinking the car was 72 miles from where it actually was and the trip computer suggesting I was averaging less than 10mpg instead of the 42.2mpg that my brim to brim calculations revealed. Both of these glitches disappeared after a couple of weeks, but they still left me with concerns, as did the £1442 bill I was presented with when I arranged to have a small dent in the rear bumper repaired. It turns out that the S90’s blindspot warning radar, located behind the bumper, makes any repair in that area tricky. And I fear that unless this is addressed, many people will simply decide that the latest safety kit is more trouble than it’s worth, despite its potential to prevent accidents. 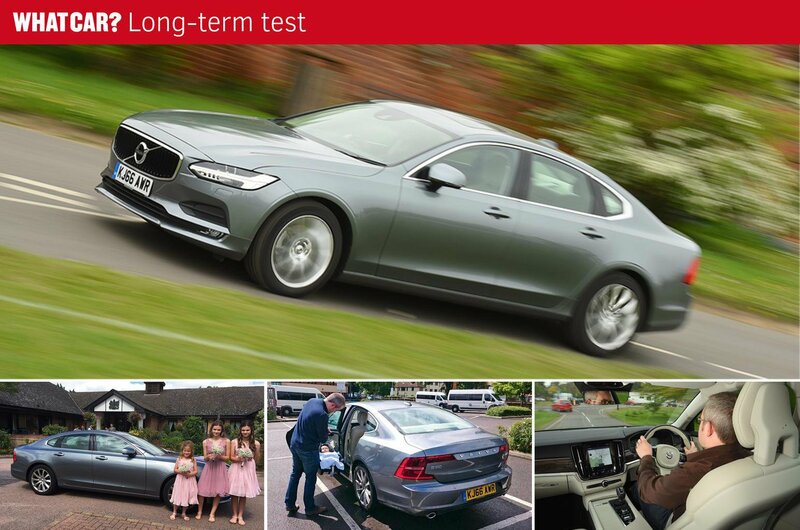 The S90 has its issues then, and having now replaced it with a BMW 520d, I’d have to say that the 5 Series is the better all-rounder, thanks to its smoother, quieter engine, sharper handling and more user-friendly infotainment system. The BMW is also a predictable choice that won’t help you stand out from the crowd, though. 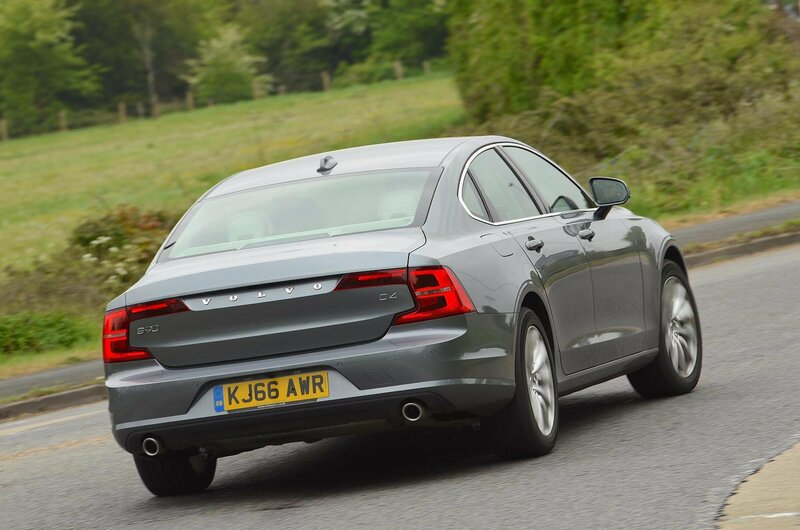 If you’re looking for a big saloon that’s less of a cliché, the S90 is well worth considering.